I don’t normally do this, but I felt inspired to do an updated version of the Dodgers Digest offseason plan, since a lot of the first one probably won’t come to fruition. The difference here is this is going to be the “damn the luxury tax” edition. I’m still hoping to keep it realistic, but I’m tired of counting pennies. Every arbitration-eligible player who was not either released or designated for assignment were tendered contracts. Cingrani is the only reported signing thus far. All of these guys could still be traded. Nothing has changed here since the last plan. Grandal is still a free agent and the Dodgers will receive a compensatory pick after Competitive Balance Round B in next year’s draft (in the 75-80 range). Someone I wanted the Dodgers to sign was Garrett Richards, and they were in on him. Ultimately, he landed in San Diego for the deal I’m giving Soria. I really think the Dodgers still need to add a stabilizing reliever to the ‘pen, and Soria fits that bill. Kikuchi is a premium talent coming over from Japan and the Dodgers have interest. If they sign him and acquire another guy I have listed in the “trades” section, well, they’re going to have to create some room. But here we go. I really, really think passing on Harper would be a mistake, so that’s why I called this the “damn the luxury tax” edition. The Dodgers might go over the $206 million tax, but they won’t be operating at the same levels they were when Stan Kasten and crew took over. One advantage they have over most teams is financial might, and it’d be awfully foolish if they didn’t use it to land a generational free agent like Harper. Magic Johnson may or may not have been enlisted to help recruit, but I’ve written a couple pieces about Harper this winter and feel he’s too good for the Dodgers to pass up, no matter the price. The Kluber-to-LA rumors are out there, but not in this iteration. Cleveland wants to remain competitive, but they’re also (for some reason) looking to move Kluber (or Trevor Bauer, ugh) after signing Carlos Carrasco to an extension. This would give Cleveland a starting outfielder, their catcher of the future and a replacement (at least for one year) for Kluber in the rotation. 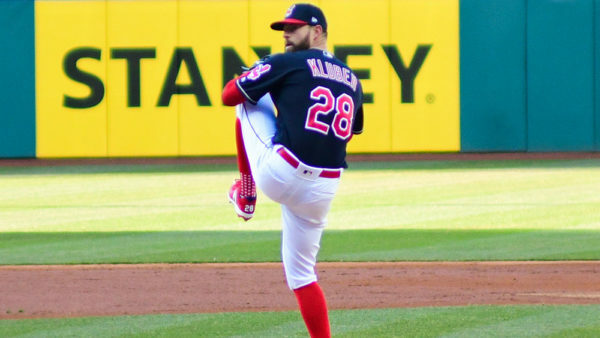 Cleveland would be saving about $4 million in terms of 2019 salary, and they’d be off the hook for Kluber’s remaining salary after 2019 (as much as $27.5 million, plus escalators). They’d have six years of each of Ruiz (probably starting next year) and Verdugo, which is a great return for a 33-year-old starter with some mileage on his arm. This works for the Dodgers because Kluber is a premium pitcher who should continue to be really good for the rest of his contract (if he stays healthy). The Marlins get a hard-thrower in Alvarez (whom they have liked in the past), a 2018 All-Star starting pitcher in Stripling and someone they can plug into their everyday lineup in 2019 in Pederson. They also get a usable arm in Stewart (who is out of options). The Dodgers not only get their starting catcher for the next two seasons, they also get a lefty reliever who had a breakout season in 2018. Wait, what? Yeah, it’s not terribly likely and it hurts to do it, but the A’s are definitely looking for starting pitching and the Dodgers need to have enough free rotation spots for the additions of Kikuchi and Kluber. Hill, in the final year of his deal ($18 million), would help stabilize the Athletics’ rotation, and he’s had success in Oakland before. The Dodgers get back another versatile player, because that’s kinda their thing. Pinder could get a look at a lot of playing time at second base. 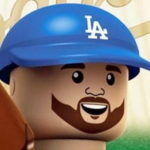 With him, Enrique Hernandez, Max Muncy and Chris Taylor, they should be OK at the pivot. Somehow, I’ve managed to make the lineup more impressive and versatile at the same time. This GMing stuff is so easy. Pretty solid looking bullpen, I’d say. Maeda is in there as a long man, but he’ll make some starts this season — especially if the Dodgers opt to go to a 6-man rotation at times this season. Conley and Soria are the outside additions that should help the incumbents. Urias will need a little time to build up his stamina, but he’ll be in the MLB rotation before too long. I couldn’t find a spot for Chargois on another team, so he’s on the 25-man roster instead of Floro, who has one option year remaining. The same goes for Fields. In this scenario, the 40-man roster is at 37 players. It will fill out, likely before Spring Training. And if you’re wondering where Matt Kemp is, I’m going to assume he gets moved, but I don’t know where and for whom. I doubt they’d just designate him for assignment, but I don’t see him playing for the Dodgers in 2019. This is a lot different than my previous plan. I know a lot of it won’t happen. Hell, none of it may happen. But it isn’t that far out of the realm of possibility.